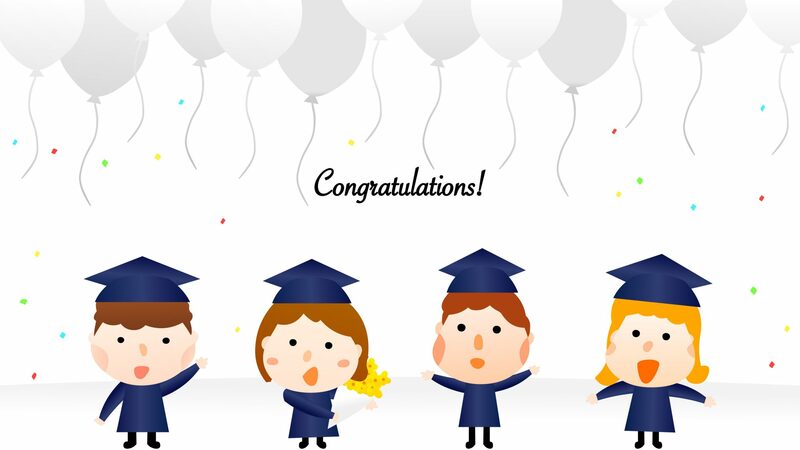 As summer begins, another cohort has passed through the taught modules of the University of Edinburgh MSc in Science Communication and Public Engagement and onto the dissertation stage to complete their degrees. This is starting to feel like an established routine at this time of year, and so it should as this year is the fifth anniversary of the course! This is, therefore, the fifth group of students we have welcomed to National Museums Scotland for our module on Museum Exhibitions, Interpretation and Informal Learning. And yet again we have enjoyed the enthusiasm and engagement of an excellent group of thoughtful and creative students. 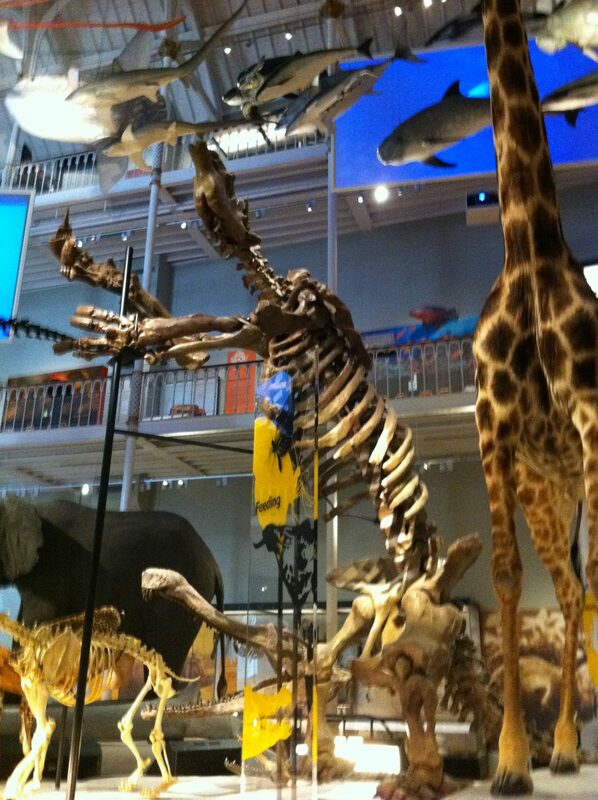 The aims of the module are to introduce students to the museum world, either because some may end up working in science engagement within museums, or, more importantly, because wherever they work within science engagement they may end up involved in projects with a museum as a delivery partner. 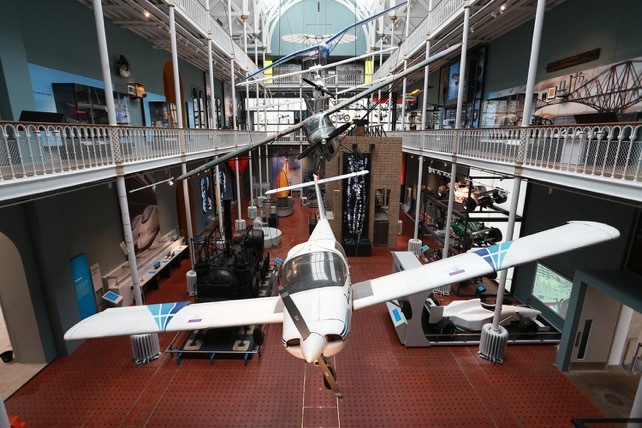 At National Museums Scotland we have a wide variety of galleries devoted to both the natural sciences and to science and technology, which provide a rich teaching resource. 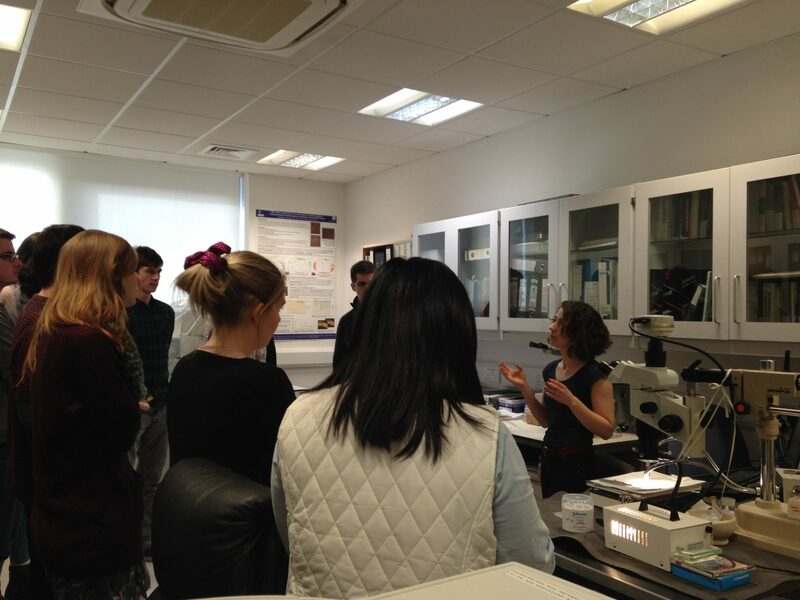 All sessions are taught on-site at the museum (except when we visit the National Collections Centre) which gives students a different learning environment to the university campus. We also draw on a range of colleagues from across the organisation as guest speakers and have members of the museum Learning and Programmes department in each session (often the Head of Learning and Programmes). The course is very practical and we get hands-on as much as possible, with observational exercises in the galleries complementing readings on the latest theory and research across museum learning, interpretation, visitor studies and audience engagement. 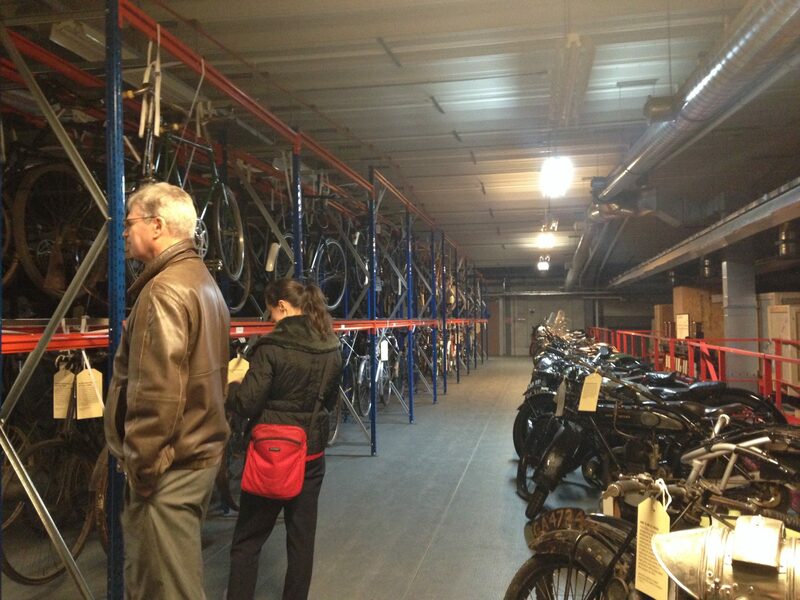 Without a doubt, feedback shows one of the highlights for the students is the visit to the Collections Centre where they get a behind-the-scenes tour from members of collections services including collections scientists, and from curators. For us, as the teaching team, our highlight has to be the final assessment presentations. Each year we ask the students to pitch an exhibition idea to us, with aims and objectives, target audience, learning outcomes and interpretive approach. 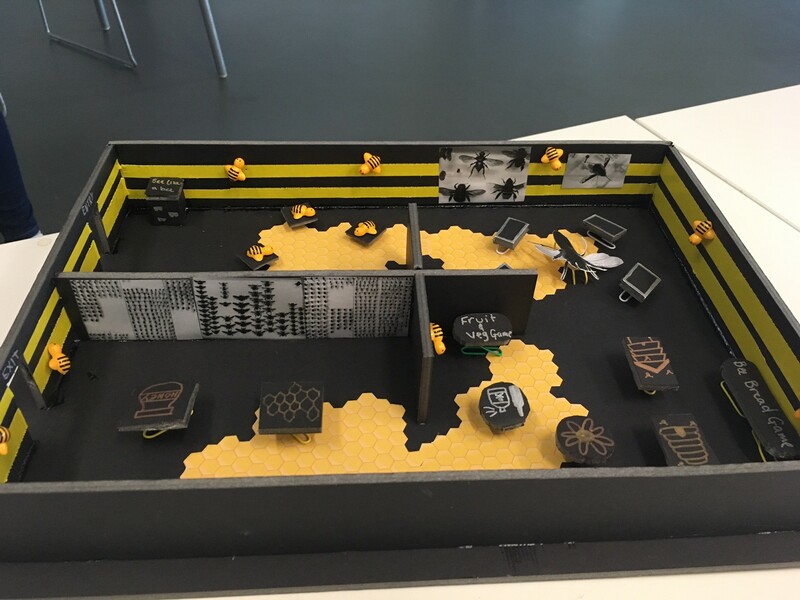 Students present their work in a written proposal but also in a five minute ‘elevator pitch’ where they can (and often do) use visual aids, like the fantastic model in the picture below by one of this year’s students. Over the past five years, the module has been refined based on student feedback and also has been slightly different each year depending on the work going on at the National Museum of Scotland at that particular time and of course, to reflect current conversations in the museum sector. But the basic shape of the module has remained the same and also echoes the module I did on museum exhibitions taught by the Science Museum when I studied at Imperial College London, which inspired me to spend the next 16 years working in the museum sector. It will be interesting to see where our students end up in future. One aspect of the module that is new, is online delivery for the online MSc course. This is my second year of teaching an adapted version of the module online. The aims and objectives remain the same as for the on-campus module, but the delivery is by necessity very different. What we lose by not having the physical museum to explore together, we gain in having a fantastically diverse cohort of students from all across the world who can reference examples of good practice in many countries. And many of whom have professional experience in museums or other related organisations which use some similar tools and techniques (national parks, science centres etc). Thank you, to all students past and present for making the teaching of this module such a rewarding experience!